Which zoo animals are the easiest to steal? WITH school summer holidays under way, now is a great time to visit the zoo and perhaps steal one of the animals. Here, in reverse order, are the best animals to nick. These majestic creatures, the largest species of tortoise in the world, are enclosed by only a small wooden fence. They can be heavy, so team up with an accomplice, or invest in a sturdy wheelbarrow, before committing to stealing one. They also live to be 200, giving you plenty of time to enjoy your spoils. Walk into the penguin enclosure dressed as a zoo employee – zoo employees do it all the time. If challenged, explain that you are a psychiatrist there to check none of the penguins are depressed. Once you’re in, just grab a penguin and just walk out with it. All penguins are basically identical, making your theft unlikely to be discovered until you are safely on the road with your new friend. Replace the stick insect with a medium-sized stick; it is likely to be weeks before anyone notices. Tapirs are placid and passive creatures, and the Zoological Society of London has been complacent in assuming they will not try to escape. Slip it some strong stimulants, such as coffee or dark chocolate, then overpower the guards and ride it to freedom. 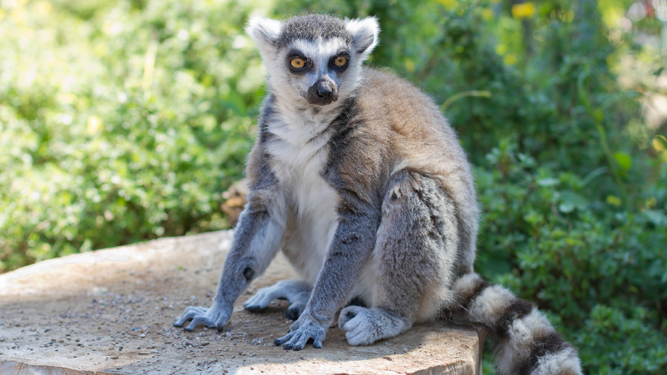 Lemurs have a mischievous nature, and will not need much encouragement to run away with you. Spend some time near the enclosure to build trust, and use your phone – or perhaps an iPad – to show the lemurs episodes of Prison Break. After three or four seasons, offer them a bag with Wentworth Miller’s face on it and they will jump right in. A SELF-PROCLAIMED ‘nice guy’ absolutely hates other nice men. Kind, thoughtful man Nathan Muir said: “I’ve spent years cultivating my nice image, only to find out that loads of other men have been doing it too. “It’s really annoying because being nice is my thing. I was actually the first man to ever think of it. “The other week I offered to help my friend Nikki move, to show her I’m not like the other bastards in her life, and that what she really wants is a nice guy like me. “Then what bloody happens? She brings her mate Tom along to help, with him claiming that ‘many hands make light work’. Who the hell is this Tom with his weird politeness and thoughtfulness? I bet he’s only pretending to be nice to hump her.